For over 15 years, Rooms, Blooms And More has been Hampton Roads’ go to for antique and fine home furnishing consignment. From one item to entire households, we provide a safe and convenient way to sell your furniture, antiques, home accessories and custom window treatments. We have more than 25 years of experience in floral design for special events and have provided special event flowers for countless weddings, private gatherings and corporate events. Our passion for design has helped Rooms, Blooms And More become one of the most reputable sources for residential interior design in Hampton Roads. Inspired by the antiques and home furnishings in our retail shop, we have created design solutions for projects of every size. 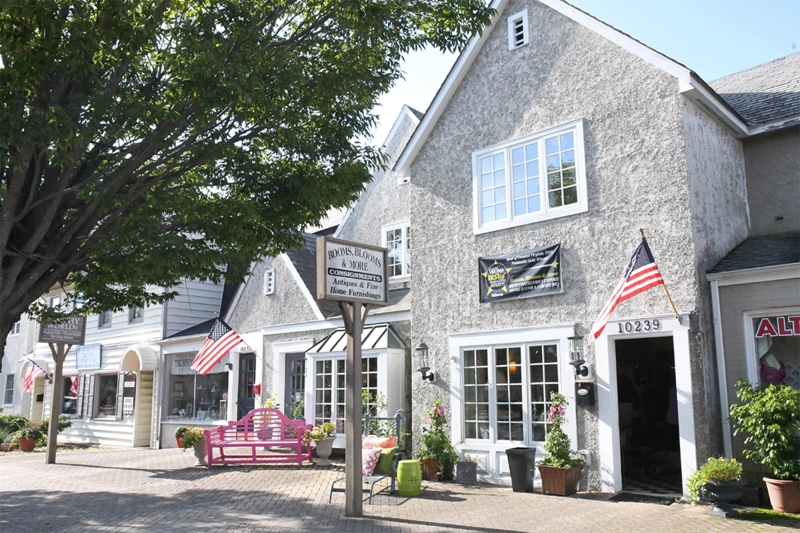 Rooms, Blooms And More is an antique and fine home furnishing consignment, special event floral design and interior design consultation business located in Hilton Village in Newport News, Virginia. The storefront, which opened in 2002, is owned by mother and daughter team, Karan Mulkey and Allison Hund, and consistently voted one of Hampton Roads’ favorites.